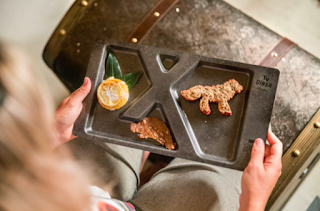 Comcast's Xfinity put a whole new spin on TV Dinners at this past weekend's San Diego Comic-Con, where a pop-up diner served food items inspired by current TV hits. YouTube celebrity chef Byron Talbot created featured dishes such as Genghis Connie's Chow Mien from "Luke Cage," Crazy Eyes' Cherry Pie and a prison shiv made from Jolly Ranchers, as seen in "Orange is the New Black," and Jerky of the Beast, in honor of the boar that finished off King Robert Baratheon on "Game of Thrones." It was a perfect experiential play for Comic-Con, where attendees like to "live" their favorite characters. Also a reminder of why we're willing to put up with that distasteful cable bill. Marketing agencies are constantly searching for the trendiest way to attract new clients and employees. After all, we're supposed to be on the cutting edge of communications, right? So it's refreshing to see a small Cleveland shop called Twist Creative making noise with a big-time retro approach - outdoor billboards. It's a creative OOH play - one that turns a typically one-way communication into an experience. The billboards show a single product term ("Butter" "Orange Juice" "Beer") against a scenic background, signed only with the agency's URL. The project is meant to provoke conversation, and it's doing just that. At first glance, some viewers see the campaign as a thought experiment; others believe it's a teaser for a TV show. But reaction has been almost universally positive. Some respondents felt compelled to add words to the billboards, suggesting "Toast" to go along with the "Butter" billboard, for example. The bottom line: traffic to the agency's web site is up by 22% and resume submissions are up by 50%. Response like that should lead to plenty more interesting experiences. 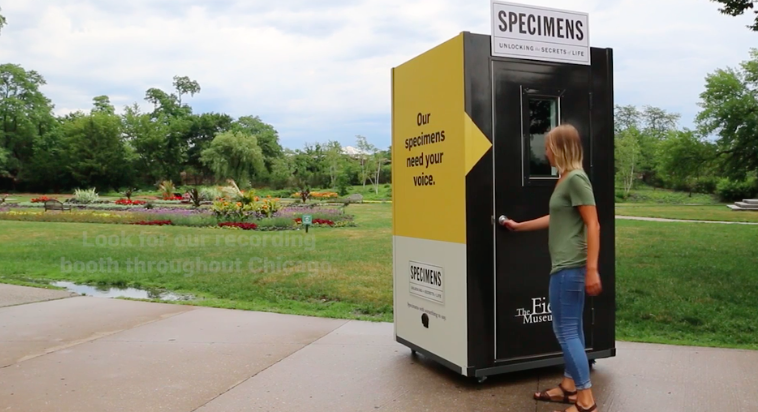 Chicago's Field Museum of Natural History is turning traditional exhibits into vibrant experiences by inviting the public to contribute in a fun, creative way. At a pop-up audio booth that travels around the city, everyday Chicagoans are encouraged to provide the "voices" for various plants, animals and minerals in the museum's collection. Working from scripts provided by local agency Leo Burnett, museum fans of all ages created personalties and backstories for a brachiosaurus, an army ant, an arachnid in amber, stardust, and more. And the level of natural talent has been impressive. The recordings will be available via smartphone for museum visitors to enjoy on audio tours. hip-hop hippos - this democratic experience is a fresh way to make ancient artifacts feel totally new and the museum experience totally relevant. Can I offer you something lethal? It's no secret that food allergies are a serious health issue. One out of 12 children in the U.S. has a food allergy, and hospital ER's are flooded with anaphylactic reactions to food - at the rate of one patient every two minutes. The problem is dramatized in a powerful PSA from End Allergies Together (E.A.T.) via BBDO/NY. In what could be called an "anti-experience," celebrity chef Ming Tsai is shown in a new food truck, offering delicacies that can cause numbness, paralysis, coma or even death to really hit home what the dining out experience is for people with food allergies. Potential customers are understandably put off, and the point is made: for many people, food is risky. Chef Tsai has been a strong advocate for getting restaurants to comply with food allergy guidelines, and the spot has a text-to-donate push to fund allergy research. The video is dedicated to the memory of Oakley Debbs, an 11-year-old who died from a nut allergy. But instead of opting for a PSA that simply tugged on the heartstrings, E.A.T. went straight for the gut. For many young men in Russia, football (aka soccer) is an obsession. They play day and night on scruffy neighborhood pitches called Korobkas. But there's little hope of going pro, because the Russian Premier League tends to ignore local talent and import foreign players. To give local scrappers a leg up, Nike created a system of "selfie scouting," which allowed Russian amateurs to show off their skills to pro scouts, using cellphone videos. From 8,000 submissions, an elite squad named K11 was assembled for a match against a team from Britain's Nike Academy - an event viewed on national TV, YouTube and Facebook Live by over 800,000 people. The match earned two K11 players contracts with the Nike Academy and woke the Russian sports establishment to the talent right under their noses. K11 2.0 is underway right now. 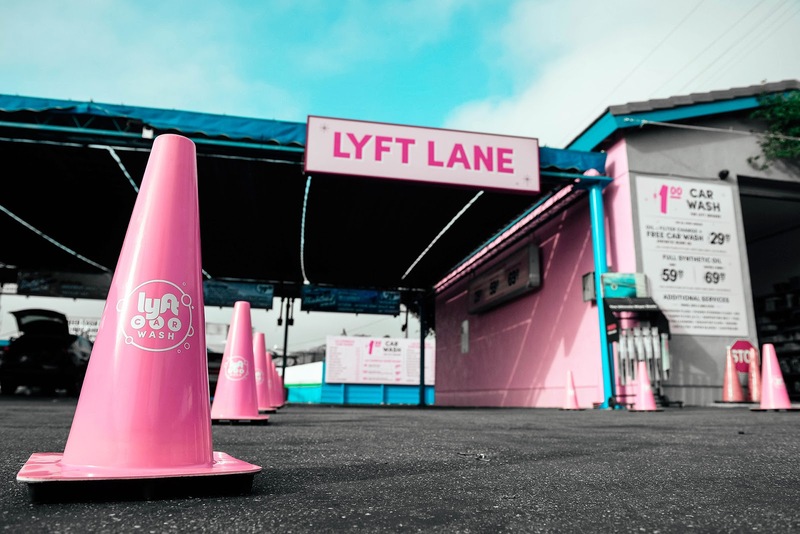 The K11 project is a great example of a brand immersing itself in the customer experience (in this case, street-level culture) in an authentic way. The fact that the engagement from K11 probably sold a lot of Nike shoes is almost beside the point. As always, Nike is thinking much, much bigger. RZA created a unique sound to represent each of the 51 fresh ingredients on Chipotle's menu and those sounds were then paired with distinctive visual representations. When customers generate their food orders (through mobile phones) they also create a unique "visual song" based on the ingredients needed to complete their orders. The composition then results in a real-time, 360º visual-experience watched through their mobile phone. Chipotle also involved several other well-known artists to compose their favorite Chipotle orders accented with their own individual styles. 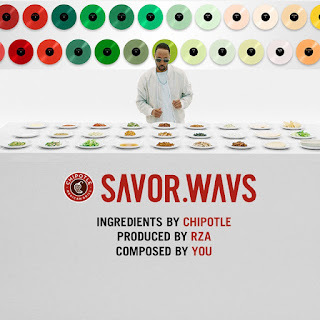 Artists such as, Wu-Tang Clan, The Head and the Heart and Awolnation all participated in the campaign and their songs can be found on SAVORWAVS.com, Spotify and at Soundcloud. But wait, there is more! Customers who partake in SAVOR.WAVS can also earn a buy-one-get-one entrée to experience the exclusive version of their favorite order. 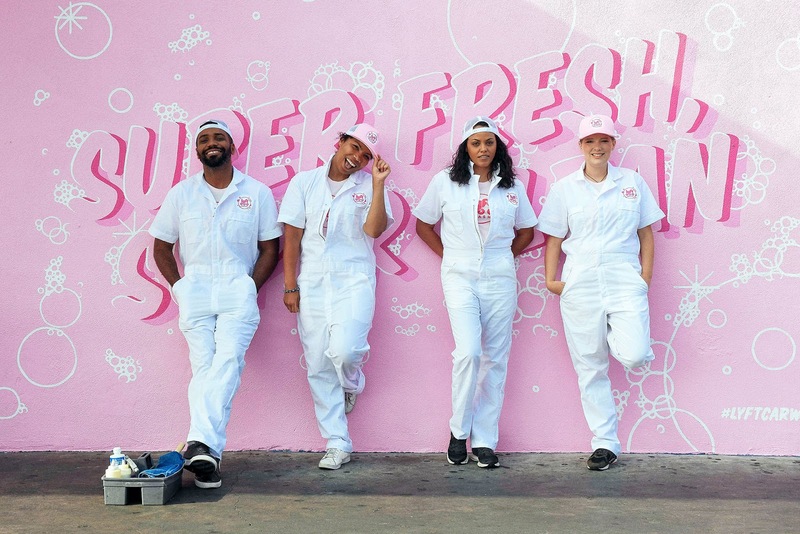 Chipotle knocks it out of the park by giving customers alternative ways to experience their food orders, listen to their favorite artists and enjoy free meals! Showing customer appreciation helps to solidify yourself as a brand that understands CX. 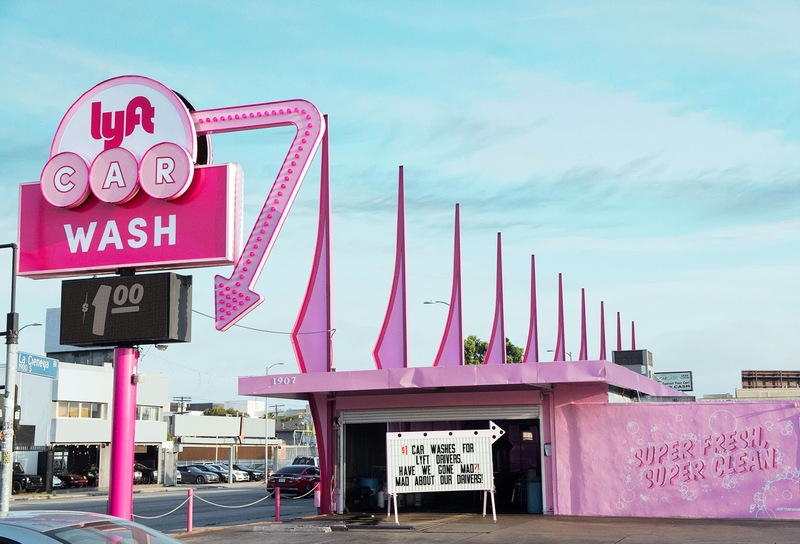 Lyft accomplished this task by taking over a Los Angeles car wash and turning it into a feel-good experience. 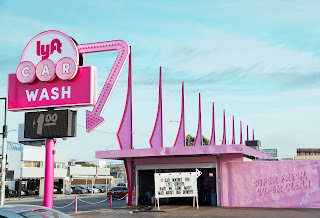 The car wash, which was completely decked out in Lyft's signature pink, was charging only $1 for a full-service wash as a thank you to their customers. Even better, all profits were donated to the L.A. Regional Food Bank. 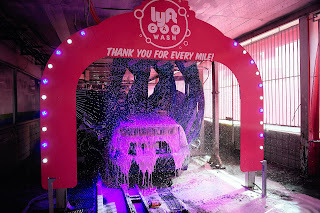 A clean car and giving back to the community, a total win-win experience! Lyft definitely deserves some acknowledgment as they show us how gratitude and humanity combine together for an amazing event. 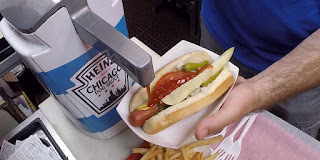 If you know Chicago, you know that Chicagoan’s have a deep, deep love for hot dogs. 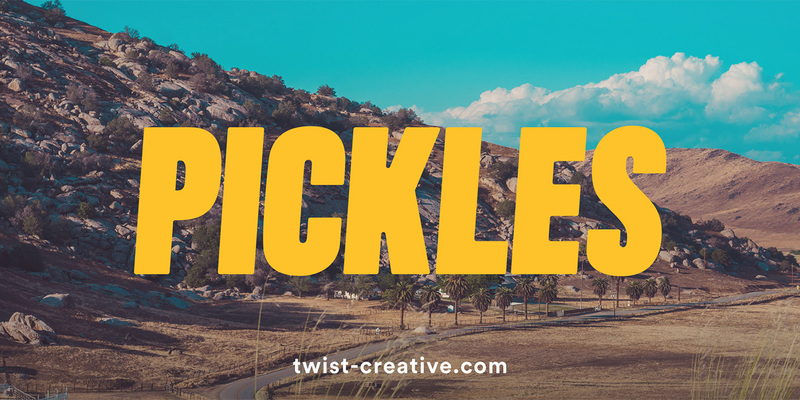 Dressed in yellow mustard, chopped onions, sweet pickle relish, dill pickle spear, tomato slices, pickled sport peppers and dash of celery salt. Almost everything but ketchup, because everybody knows, NO KETCHUP ALLOWED. That would be a sin. Bravo Heinz, (slow clapping) bravo… Helping consumers get over a negative stigma by opening their minds using their taste buds. Now Chicago ketchup lovers can enjoy smothering their dogs without fear of judgement. Ever wish you could spend less time traveling to and from airports? 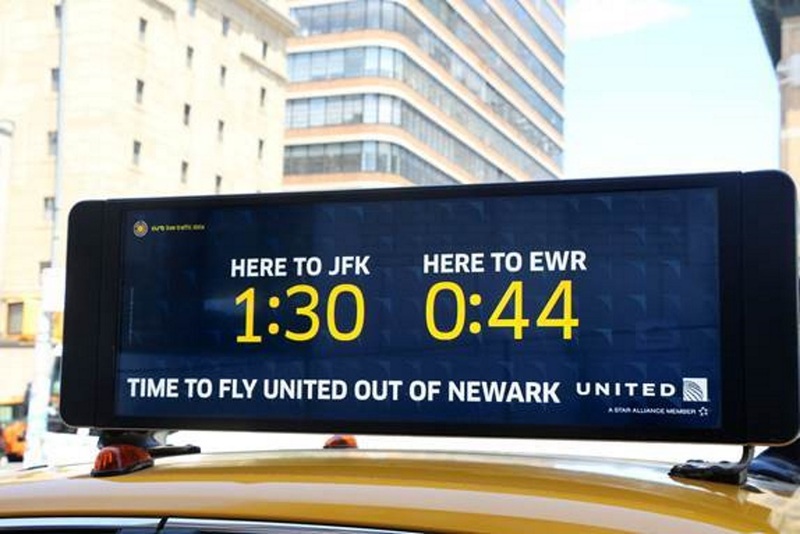 In 2015, United Airlines stopped flying out of JFK, NY and landed (apologies for the terrible pun) in Newark, NJ. There is a well-known perception amongst NYC travelers that flying out of JFK saves more time versus than flying out of Newark. United took on the challenge of debuting this myth and educating the NYC masses by placing digital ads placed on top of NYC taxis with travel time to both airports. This would inform a potential traveler which airport would be quicker to get to based on traffic and the vehicle’s location. Curb, a taxi hailing app, supplied United with the GPS data while also making themselves easily available for potential travelers to book the fare on the spot. A toast to United for making the typically terrible NYC travel experience exponentially better, and for helping travelers everywhere find time for that pre-flight cocktail!